Two of FDU MFA alum Jin Cordaro’s poems have been published in Issue 23 of Smartish Pace. Read more in Issue 23 of Smartish Pace. 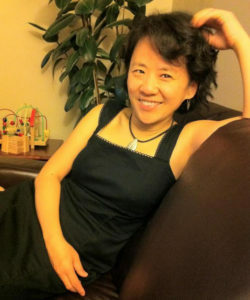 Jin Cordaro received her MFA in creative writing from Fairleigh Dickinson University. Her work, among others, has appeared or is forthcoming in Faultline, Main Street Rag, Sugar House Review, and Cider Press Review. Her work also appears in the anthology Challenges for the Delusional. She is a Pushcart Prize nominee, and the recipient of the 2009 Editor’s Prize from Apple Valley Review. Born in the suburbs of Detroit, Cordaro now resides in central New Jersey with her husband and twin daughters. Are you interested in studying with Fairleigh Dickinson University’s Low Residency MFA program?